We are a law firm based in Liverpool and our specialist area of law is accident claims, or personal injury claims as they are more commonly known. All of our experienced Liverpool accident claims solicitors handle claims solely on a No Win No Fee basis, so if you have had an injury and it wasn’t your fault then you should speak to us today to see how Accident Claims Liverpool can assist. 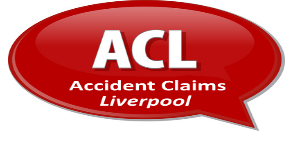 How can Accident Claims Liverpool help you? If you are in or from Liverpool or even the region of Merseyside and have suffered an injury where you were at no fault, speaking to one of our accident claims solicitors from Liverpool can give you the reassurances that you need that your case to claim accident compensation is a valid one. Alternatively, we may be able to help you to avoid wasting valuable time and energy if your injury claim is not something which would be eligible for compensation. If you decide that you want to continue with your injury claim, it is always best to have the backing of a legal professional such as our Liverpool solicitors, because we have many years of experience and knowledge of how to progress an accident claim. We also understand which avenues are worth investigating and what could be a dead end in regards to the compensation claim you feel you may have. This can help to speed up your claim, so that you will be more likely to get a decent conclusion sooner than you expected. Our accident claims solicitors also understand all of the different facets which might be covered by a No Win No Fee claim. What could be covered by an injury claim? Most claims for compensation in Liverpool and England as a whole will cover the injuries which were sustained as an absolute minimum. Most insurance companies will try to get away with offering this value and nothing else. However, many other things may also be covered by your claim, and speaking to one of our Liverpool accident claims solicitors can advise you comprehensively about this. If you have lost out on earnings because of the accident, or if you are unable to continue to work in the same capacity in the future, then this may be covered. Any medical bills or adaptations that you have had to make to your home or vehicle as a result of the accident in Liverpool should also be covered. If our Liverpool claims solicitors do decide by way of our free first consultation that you certainly have a valid claim that we can take on on a No Win No Fee basis we will ask you to provide us with certain documents and evidence that will validate your claim and also could affect your level of compensation. 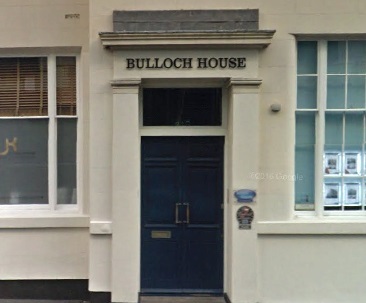 This is what all good accident claims solicitors do. The first step in your claim for compensation should be to get in contact with our experienced Liverpool accident claims solicitors today. Contact us now by phone or email so that we can establish the details of you accident in Liverpool and use the details to work out who is liable and how much you could be awarded. Should our evaluation be that you indeed have a good chance of winning compensation and you agree to our accident claims solicitors Liverpool taking on your case in a No Win No Fee arrangement we will then fight for your right to get the best amount of compensation for your accident. We have streamlined all of our processes to ensure there is no hold ups or delay in starting your claim, or indeed the entire process. Get in touch with us today and if we ascertain you have a good chance of winning compensation for your injury we can have your claim up and running within minutes. Our Liverpool accident claims solicitors work solely on a No Win No Fee basis, and have many years experience specialising in this field of law. Our law firm is fully regulated by the SRA (Solicitors Regulation Authority). Our law firm and our accident claims Liverpool solicitors are all based local to you. This makes it nice and simple for you if you need to speak to us in person rather than dealing with a national firm who may not have offices in the Liverpool area..